Taking the kids on adventures is made easy in this coach. 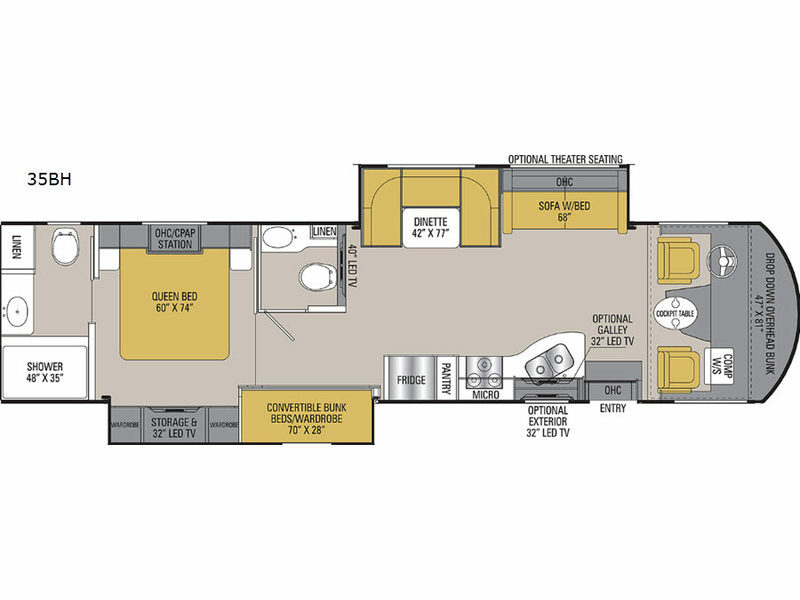 From the set of bunks for the kids, dual slide outs for added space, and one and a half baths for convenience, this RV just makes sense. After taking a hike, shopping in town, or sleeping in, you can relax on the sofa with bed and U-shaped dinette slide out while watching TV or visiting with the cook. You can even choose an optional 32" LED TV in the galley and an optional drop down bunk over the cab if you like. The convertible bunks across from the half bath each include a 19" TV with DVD player so everyone can watch their own favorite show and movie. The cockpit table offers an additional place to eat meals when wanting a different view. 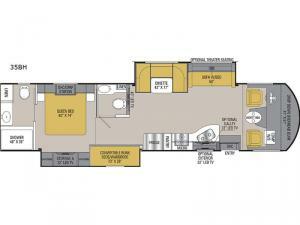 Check this model out to see the walk-through bedroom and rear full bathroom, plus more!